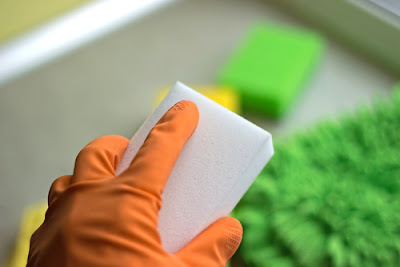 Singapore Cleaning Service - Blog: How To Clean House Dusts Away? Finding dust in your home or workplace can be quite annoying as well as unhealthy. Dust is made of various kinds of particles including fibers from clothing and paper, dead skin cells, and plant pollen. When it accumulates it can not only wreak havoc on allergy and asthma sufferers, but can also make matters worse with dust mites. Cleaning home to get rid of house dirt requires vigilance and consistency. To keep your home dust free, it is important that you follow some simple steps listed below in this guide. Before you start cleaning your home, it is essential that you do some preparation first. This will make the execution easier and keep dust away as much as possible. · Removing all clutter from in and around the house will help make the dusting process effective and easier. 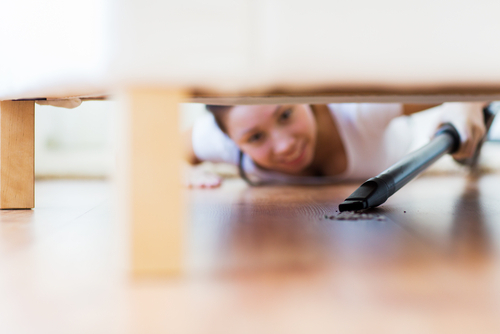 Remove all things found on the sofas, chairs, floors, tables or countertops. · Ensure that you wear protective gear (face mask and goggles) to prevent any kind of health hazards. · Before you begin dusting, shake the dust from your pillows, rugs, linens, cushions by patting them firmly. Do not forget to shake out your curtains too. · Begin your dusting routine by wiping ceiling fans and fixtures. Use a fiber duster or a clean, damp cloth for dusting. · After you have finished with the top, start dusting the doors and walls of your home using a spray bottle of water and a damp clean cloth. · One of the best ways to clean your windows is to use a window cleaner. To eliminate streaks on the glass, use a squeegee. Dust from window sills can wipe off using a damp clean cloth. · One of the most common places where house dusts can be found is on the surface like countertop, tables, and bookcases. One of the best ways to get rid of dust from this place is to use a fiber duster. However, if you find the dust cakes on the surfaces, use a damp microfiber cloth to remove all the dust. · Using a fiber duster or a damp cloth, dust all the decorative items you had removed before placing them back to their original position. · Linens such as curtains, pillowcases, and sheets also tend to collect dust over time. Toss them in the washing them to keep them dust free. When cleaning home, it is essential that you vacuum furniture regularly to eliminate house dusts and make your home dust free. · Use a vacuum cleaner to dust from carpet and rugs. · Move big pieces of furniture like beds, couches or dressers for efficient house dusts cleaning. · Use a clean mop to get rid of the dust from hard floors (tile or hardwood). Vacuum cleaner: A vacuum cleaner that comes with different attachment not only helps clean dust from floors, but also removes dust from walls, blinds, upholstery, linens, furniture or corners and tight spots.Ensure that the vacuum cleaner has a good filtration system for effective dust removal. Feather duster: This classic house duster helps clean dust from small crevices as well as large surfaces. When buying a feather duster, choose one made of ostrich feathers. It is suitable for general dusting, on bookshelves, end tables, lamps or more. Avoid using this duster on masonry surface or rough wood to prevent it from getting damaged. Electrostatic Dusters: These types of dusters not only pick up surface dust, but also attract and hold tiny air borne particles using static electricity. Available in different forms, covers for floor sweepers, plain dusting cloths, electrostatic dusters can be used to eliminate dust from the floor, wood furniture or decorative accessories. While the machine washable electrostatic dusters are affordable, those that are disposable are less economical. This home dusting tool is a great option for those suffering from allergies. Microfiber Cloth: Woven from super fine synthetic fibers, microfiber cloth is soft and can be used on surfaces prone to scratchings, such as stainless steel surface or computer screens. Microfiber cloths can be used dry or damp and do not any cleaning solution. Dust Mop: A dust mop works well than a broom for picking up fine dust from hardwood floors. Using an electrostatic floor duster can yield better results. However, if you using a traditional dust mop ensure that you vacuum the mop thoroughly or shake into a moistened bag.Wash your mop regularly in warm water for effective dust cleaning. Paint brush: A natural bristle paint brush is a perfect dusting tool that helps remove dust from tight space, intricate designs or lamp shades. Ensure that you keep paint brushes for dusting separate from those you use for paint touch ups. Compressed Air: Another great way to eliminate dust small, hard to reach spots such as piano keys or computer keyboards is to use a can of compressed air. A great benefit of using this dusting tool is that helps remove dust without leaving behind any residue. Dusting your home can be an uphill task because no matter how much you clean; your home may probably still dusty. However, following the simple steps of cleaning home and using the right dusting tools will not only help keep your house dusts free, but will also allow you and your loved ones lead a happy and healthy life.